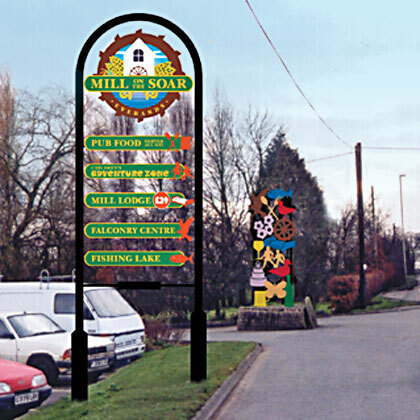 The bright signage scheme was designed to stand out on a busy main road. It also reflects the fact that the Mill is a family orientated pub with many different features and offerings. 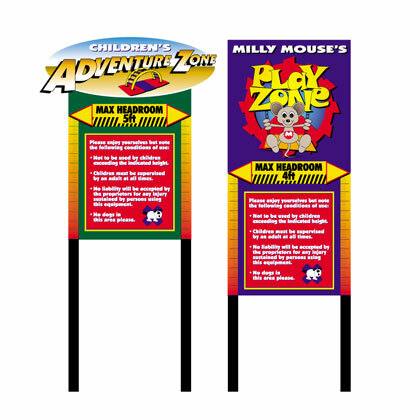 The sculptural triangular sign makes use of an existing triangular plinth, while the children's playground signage builds upon the Milly Mouse character created for the children's areas.